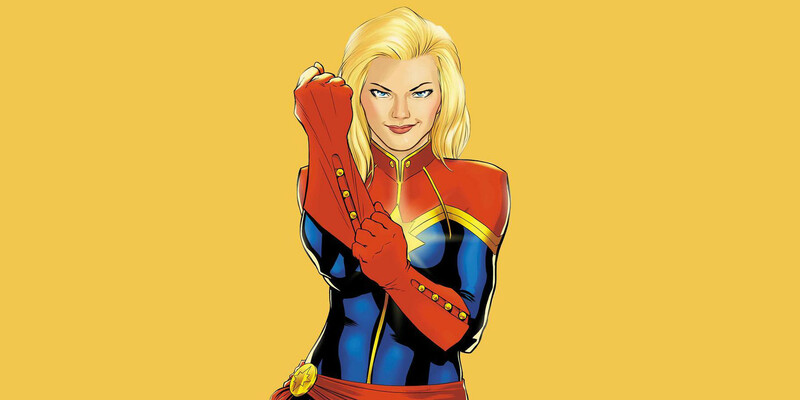 Carol Danvers didn’t debut in Marvel Comics as Captain Marvel. Instead, Roy Thomas and Gene Colan created her for an anthology series– an issue of Marvel Super-Heroes in the 1960s. She was a supporting character, the head of security at a military base, in the Kree Mar-Vell’s story. Nearly a decade later, she went from ally and Air Force pilot to Ms. Marvel. Almost every decade since brought a change in her power set and codename until 2012, when she officially became Captain Marvel. So many changes in her fifty-year history mean that Captain Marvel’s body went through a lot of changes as well. Over the decades, fans watched her gain superpowers, lose them, lose her memories, turn into a being of pure energy, fight alongside mutants as an average human, and even harness the power of a newly forming star. If any character knows what it means to be a hero in any form, it’s Captain Marvel. 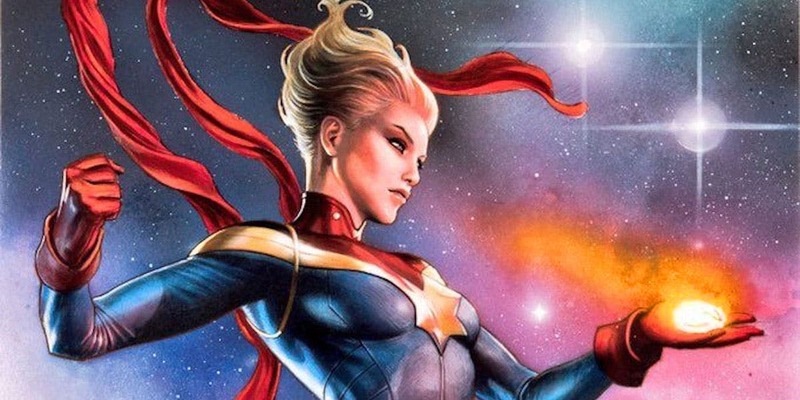 With Carol Danvers making her big screen debut this year, we offer up a bit of a primer on just what she’s been through in her heroic journey over the years. 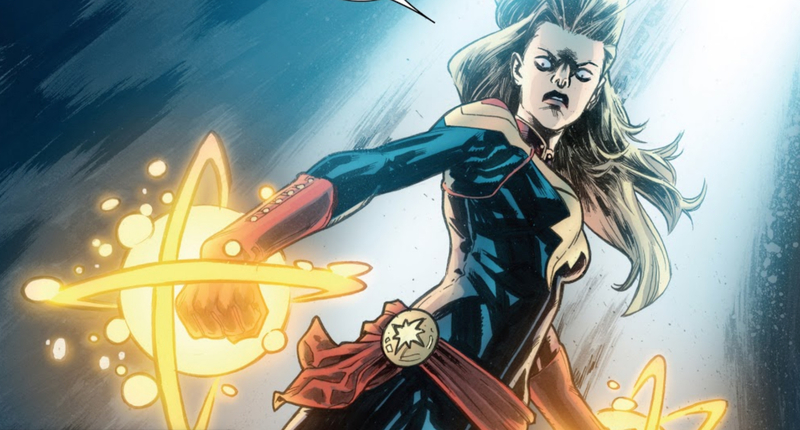 Check out the changes and the powers with 25 Crazy Details About Captain Marvel’s Body. Before Carol Danvers took up the moniker of Captain Marvel, she was known as Ms. Marvel when she seemingly gained superpowers as the result of a giant extraterrestrial accident. The Kree known as Mar-Vell was a long time hero of Carol’s. She worked with him, and was even a bit jealous of his many abilities. When Carol was exposed to a piece of Kree technology called a psyche-magnetron, she developed similar powers. The idea was that the piece of tech, which could bring the imagination to life, fused her DNA with Mar-Vell’s as it picked up on her wish to be a hero like him. That piece of comic book history was eventually retconned. A new piece of information came to light about Captain Marvel’s origin in her recent comic book stories. 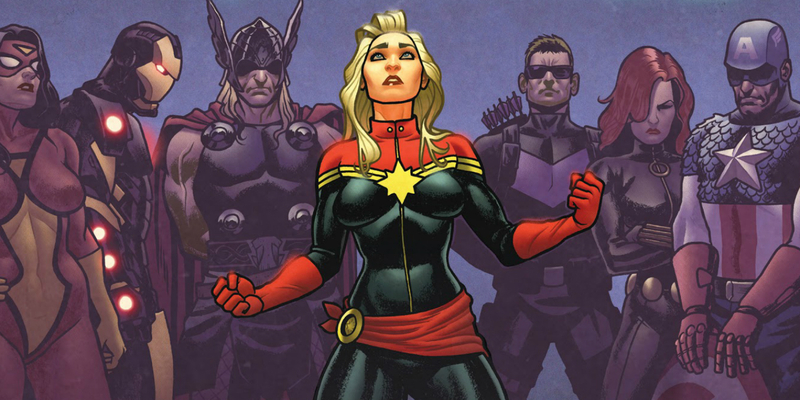 The newest take on her past revealed that Carol Danvers wasn’t entirely human. Instead, she discovered that while her father was a member of the U.S. Navy like she always thought, her mother was actually a member of the Kree race. The explosion that readers believed had combined her DNA with Mar-Vell’s for decades actually just “awakened” the Kree aspects of Carol’s existing DNA instead. Even her name was actually adapted from her Kree birth name Car-Ell. After Carol’s experience with the psyche-magnetron, she didn’t just find herself with newfound abilities. She also found herself experiencing blackouts. Eventually, Carol became aware that her mind had somehow split into two entities following the experience. She had dual personalities. During her blackouts, Carol became a full fledged Kree warrior, complete with a new costume the psyche-magnetron created for her when she was exposed to it. Carol eventually managed the condition, getting help from Kree like Ronan the Accuser, and entities from other dimensions, like Hecate. Like a lot of the human characters who have extraterrestrial DNA in Marvel comics, Carol has a few physiological differences from the average human, even though she passes for human. With denser musculature, her body doesn’t fatigue as quickly as the average human, and it can even heal faster. She also has the added bonus of a strong resistance to most toxins and poisons. With the Kree aspects of her DNA, this makes sense. 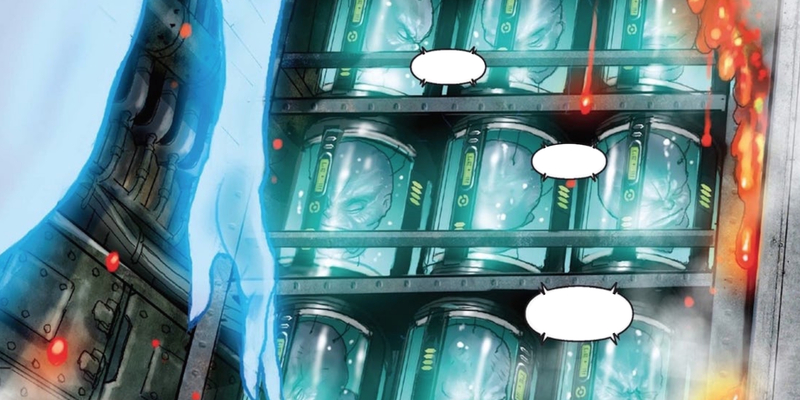 The Kree as a species aren’t susceptible to the same chemicals as humans in the comics. Most alien species come from heartier stock than mere mortals. Not long after joining the Air Force, Carol made herself stand out. She quickly worked her way to the top of her class, and then climbed the ranks. Carol was also selected to fly an experimental aircraft over possible enemy territory. When Carol did, her plane was shot down, and Carol was taken prisoner. She spent days being interrogated, but she never mentally broke. Instead, she planned an escape. Despite her injuries, which included a broken leg and arm, Carol made it to a safe-house and was able to provide the C.I.A. with intelligence on the group that captured her. 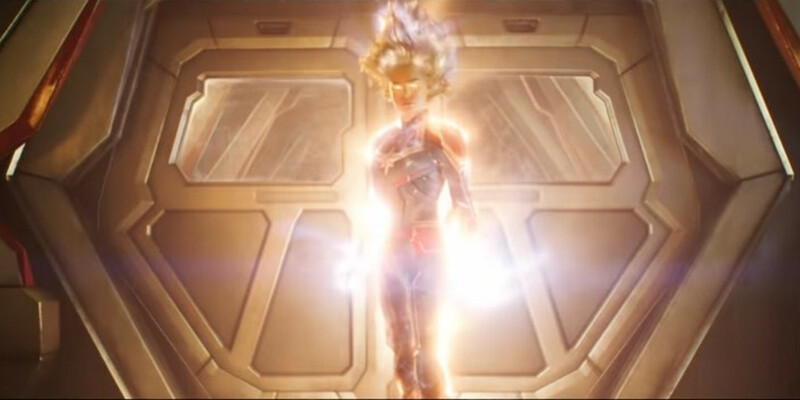 Some of the most iconic images of Captain Marvel include her shooting pure energy from her hands, or covered in a bright glow of power. The ability to distribute energy in that way is a result of a different ability. Carol Danvers doesn’t just conjure those blasts out of nowhere. Instead, she’s able to draw in the energy around her. Once absorbed, she can redirect it outward, giving herself quite the power boost. She can also convert the energy to help herself heal in a fight. It’s a multipurpose ability. Though it might appear as though Captain Marvel shoots fire, lasers, or electricity at opponents, depending on the illustration, that’s not always the case. More often than not, her energy blasts are of the concussive variety. Like the X-Men’s Cyclops, her power is often misinterpreted. The concussive force isn’t made from fire, but does manifest on the visible spectrum as some sort of light. That’s why Cyclops’ blasts appear red and Captain Marvel’s often appear white. It’s pure force knocking into an opponent though, not light and heat burning them. During a time when Carol “lost” her abilities, she didn’t completely give up on helping people. She spent a lot of time with the X-Men, and even wound up caught up in a confrontation with an alien race known as the Brood. The Brood snatched her away, along with X-Men like Kitty Pryde and Wolverine. Kitty and Wolverine were the only ones who could see through the illusion they were all trapped in– at first. Eventually, the Brood took Carol and experimented on her, trying to “awaken” the same biological process that gave her Mar-Vell’s powers. 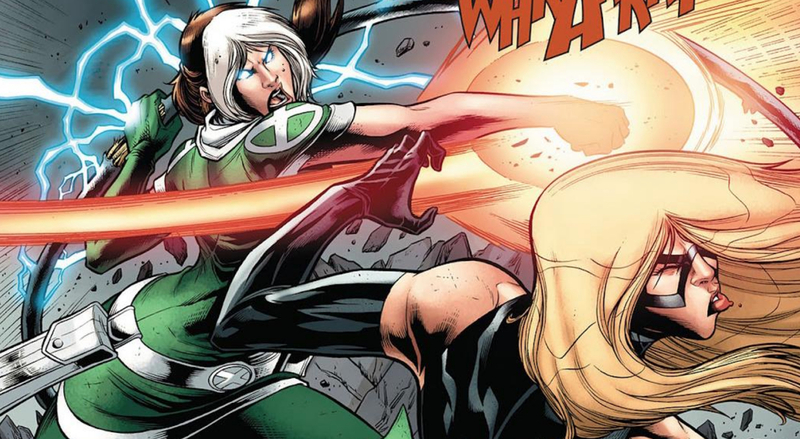 Carol didn’t return to using the Kree abilities she seemingly gained from the explosion with Mar-Vell after the Brood meddled with her body. Instead, she gained access to whole new powers. 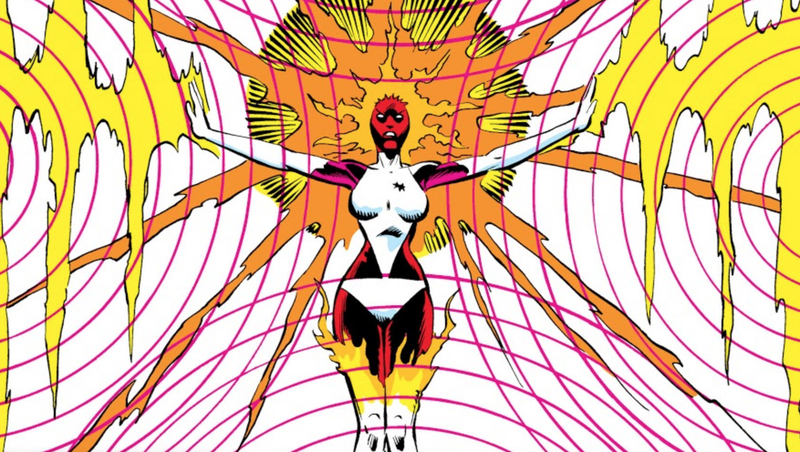 While her previous powers allowed her to manipulate energy around her, her new power allowed her to channel the energy from a “white hole,” or a newly forming star. Carol took on the codename Binary when she began to use her new powers. Being able to harness that much power at once turned her into one formidable being. She could essentially control radiation and gravity, just like a star pulls planets into orbit. 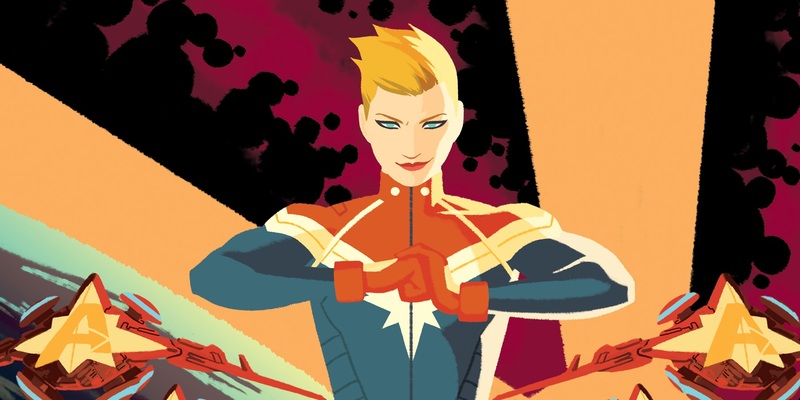 Captain Marvel is a fan favorite far beyond her comic book history. The Carol Danvers version of the character appeared in more than a dozen Marvel video games. She also made her mark in animation. Five different actresses lent their voices to the character over the years; she even appeared in the 90s X-Men animated series. Carol Danvers also appeared as part of the Marvel Universe LIVE stage show starting in 2013. She has, however, never appeared as part of a live action movie until now. Brie Larson is the first actress to bring Carol Danvers to life on the big screen. Her appearance is styled closely after the modern comic version of the character. Carol’s ability to absorb and redistribute energy from her surroundings allows her to use that energy for a variety of activities. One of those activities is flying. It’s not entirely clear what Carol’s top speed is. She can travel faster than rocket ships– both inside Earth’s atmosphere and in outer space. The comics have seen her maintain steady flight at three times the speed of sound for several hours. Fans estimate that could put her top speed during a shorter amount of time closer to six times the speed of sound. Most of the Avengers are imbued with some form of strength superior to the average human being. Captain Marvel isn’t just stronger than the average human though, she’s also stronger than most of her teammates. Carol can use the energy she absorbs to enhance her own strength in a fight. That enhanced strength means she’s strong enough to hold onto a giant Celestial in the atmosphere when it’s falling to Earth. 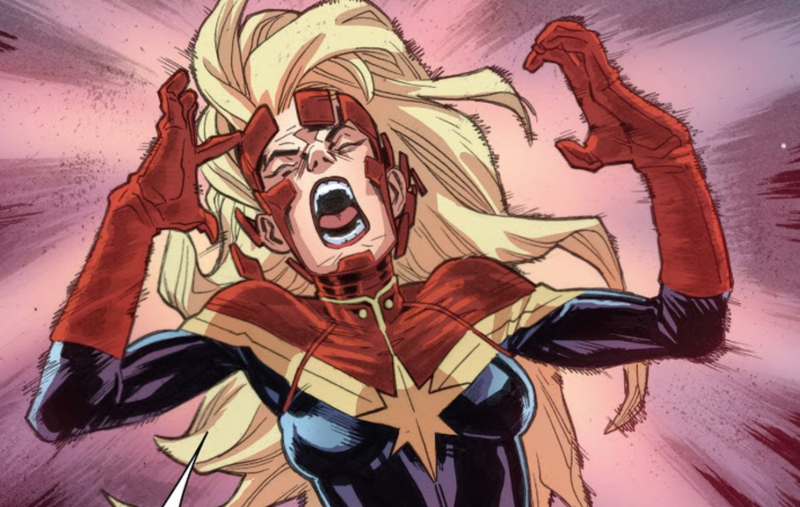 She can even stop it from plummeting to the planet below, as she demonstrated in a 2018 Avengers comic. 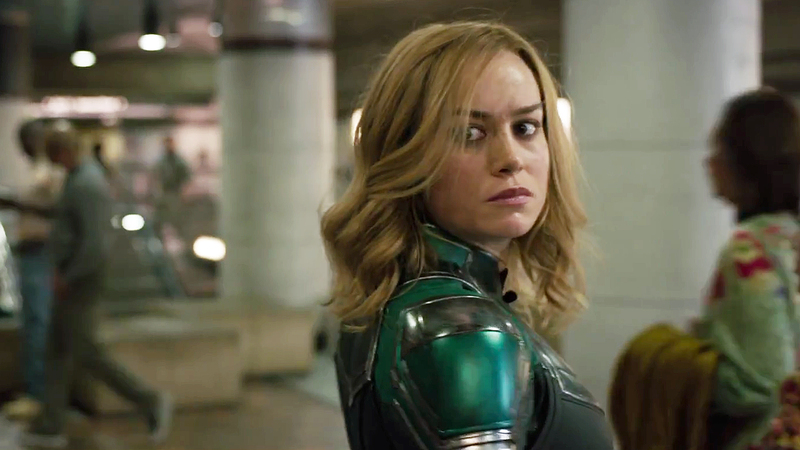 When fans learned a Captain Marvel movie was in development, there were plenty of actresses they named in hopes of seeing them don the iconic suit. Action and genre stars like Katheryn Winnick, Katee Sackhoff, and Natalie Dormer were all actresses with fighting experience that fans thought could nail the role. When Brie Larson landed the part, she headed into training on her own, wanting to get her body into the kind of shape Carol Danvers would actually be in. She spent nine months training, increasing her strength and stamina to the point that she was able to deadlift 215 pounds while filming. A crossover story saw the DC and Marvel universes combine into an Amalgam Universe. In it, several heroes and villains saw their designs mashed up to create whole new characters. Carol Danvers was one of them. Carol’s design combined with that of DC character Helena Bertinelli to create a strong woman who could wield a mean crossbow. 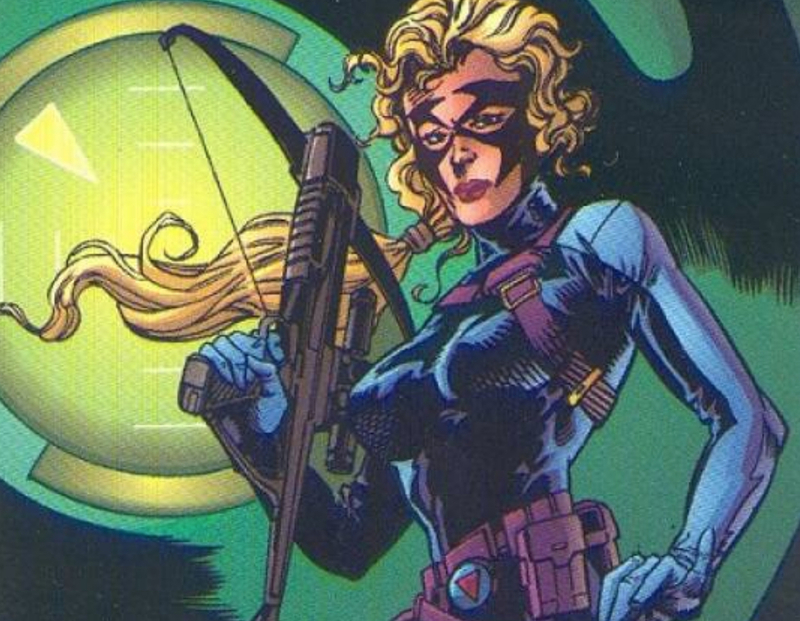 While other characters got new names that combined those of the two characters the new design represented, Helena and Carol became the former’s new version of Huntress. She still looked like Carol Danvers, but she had a uniform closer to Helena’s, along with Helena’s choice of weapon, of course. Following the loss of her cosmic powers, along with so much other trauma in her life, Carol turned to alcohol for help. While she was a member of the Avengers, he drinking became so out of hand that even Tony Stark noticed it. She tried to continue superhero work while drinking to numb the pain of her past, but eventually, it all caught up with her. It was surprisingly, considering he would eventually follow a similar path, Iron Man himself who got Carol to admit she needed help. Drinking got in the way of her using her abilities responsibly, and she entered a program to deal with her demons. Back when Carol Danvers was still Ms. Marvel, she and Jessica Drew AKA Spider-Woman first became close friends. The two routinely helped one another deal with some of the crazy events in their lives. Once, Jessica even saved Carol’s life. Carol was spotted floating unconscious under the Golden Gate bridge. It was Jessica who fished her out of the water, making sure she was safe. While officials thought Carol attempted to take her own life, Carol actually had just managed to survive a fight with the mutant Rogue. Rogue stole all of the other woman’s powers, leaving her there when she was done. Storytelling fans will often call employing amnesia a soap opera device. Soap operas like to breathe new life into characters by allowing them to completely change who they are thanks to a memory loss. That doesn’t only happen in soaps. For Carol Danvers, many a conflict has resulted in her losing memories of her old life. When Rogue heard of a future event where Carol harmed her, she didn’t just aim to steal Carol’s power. She also took all of Carol’s memories with her as well. Carol ended up spending time with Professor Xavier, having the powerful telepath recover those memories for her. She also lost memories after destroying a brain lesion in the future. 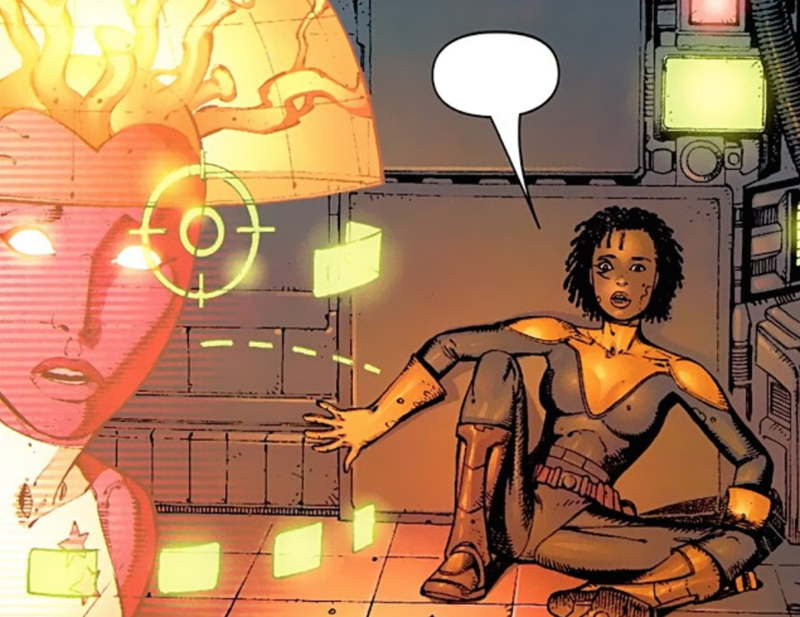 The amount of times Carol’s body has been tampered with means her brain went through quite a bit of trauma, including a lesion on her brain in her 2012 series. Near the end of the comic book run, the writers revealed Kree villain Yon-Rogg’s mind was linked to hers. Because a little bit of his mind was in hers, a lesion formed on her brain that allowed him to access her memories and linked her to a piece of technology that was trying to recreate a Kree city on Earth. Knowing it could cause a brain hemorrhage, Carol flew out of range of the technology, breaking her connection to it, and ending the assault in space. Every so often, writers provide long time comic book fans with a completely new take on a character that surprises them. In the three book series X-Men: The End, readers discovered that a Shi’Ar princess and the time traveling Bishop had a daughter named Aaliyah. She lived alone on a spaceship after the loss of her mother, save for one companion. Her ship was controlled by a being of pure energy who also looked after her, even giving her advice during confrontations with enemies. That being was Carol Danvers, though this version of her appeared to be modeled after her Binary days. Carol Danvers has her history with a lot of C-list villains in the comics. One of the biggest bads she took on by herself was MODOK, the strange disembodied head in a special chair. They weren’t always enemies. In one storyline, a dark version of Captain Marvel took her place on Earth, and a group of MODOK infants reached out to her for help. They thought she was the real thing, and wanted her to save them from extinction. She did but, eventually, several fragmented Carols showed up in the storyline. The infant MODOKs helped put them all back together, resurrecting the real Carol. Remember how Captain Marvel’s powers allow her to absorb and redirect energy? Not only can Carol use that energy to fly, employ concussive blasts, and heal her wounds, but she can also use it to power her own body. All living beings rely on energy to function; they just convert energy differently. Human beings need food and water to remain functional. Plants convert sunlight and nutrients from the soil to keep themselves growing. Though Carol is not a plant, the same idea applies to her. She’s able to absorb ambient energy to use as a “food” source. 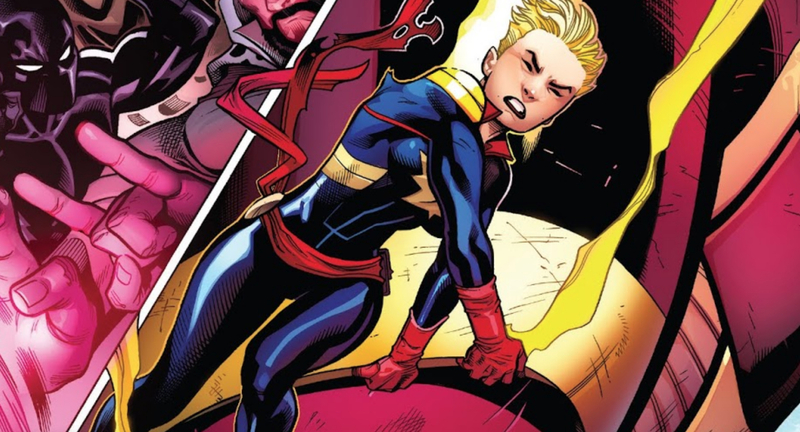 That energy conversion, along with her unique physiology, means that Carol can do another thing normal beings can’t. She can survive in the vacuum of space on her own. All of those images of Captain Marvel soaring through the stars, high above the Earth, aren’t simply artistic license. Instead, she can use her own abilities to keep herself alive. Her body also does it instinctively. Even when she suffered from an exploding brain lesion in outer space and losing consciousness, her body still kept her alive long enough for the Avengers to retrieve her. During her days as Ms. Marvel, Carol had a special power that popped up every once in a while. She saw glimpses of the possible future. These glimpses occurred as random bursts of precognitive visions. 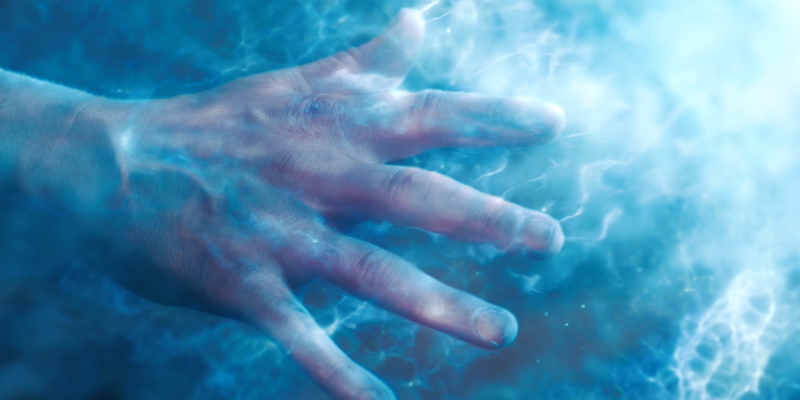 It’s not clear why Marvel Comics termed it a “Seventh Sense” since humans only have five senses and a sixth is usually precognition, but the power didn’t last. Over the years, the power appeared less and less until it disappeared from Carol’s skill set completely. It’s unclear if the power fading is a result of the many times Carol’s had her mind invaded, or if the loss of the power was one of her few permanent losses. Something fans don’t see a lot of in the comics these days is superheroes getting to relax and have a little fun. When the S.H.I.E.L.D. comic launched in 2015 with characters from the television series, they got a little taste of what heroes do in their downtime. Agent Phil Coulson grew up writing down every detail he observed about the heroes around him, and he continued that as an agent. When he played a game of poker with Captain Marvel? Written on his hand was her tell - she flares her nostrils. Brie Larson and Samuel L. Jackson made movies together before she became the Captain Marvel to his Nick Fury. As a result, the two became friends. When Larson began her Captain Marvel training, she jokingly made a goal with her trainer: she wanted to push a Jeep uphill. Partway through training, Larson accomplished that goal, and she sent the video to Jackson. Though she sent it to him in confidence, Jackson showed it off to reporters during press days on set, telling them how impressed he was with his costar’s work. Did you learn more about the anatomy of Captain Marvel? 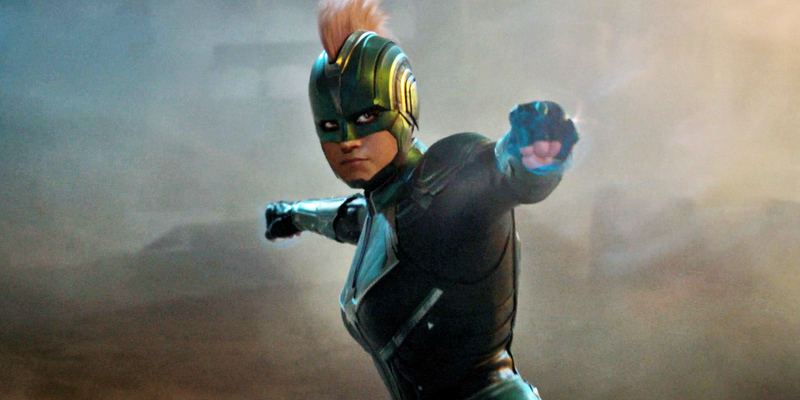 How much do you think the MCU version will have in common with her comic book counterpart? Let us know in the comments.